I refer to ST Forum letter “Are HDB residents tenants or owners?” and HDB’s reply, “HDB buyers are home owners, not tenants” by Ms Lim Lea Lea. For rental in the open market, HDB uses the term ‘sublet/subletting’ and the ‘tenant’ is also stated clearly as a ‘subtenant’. 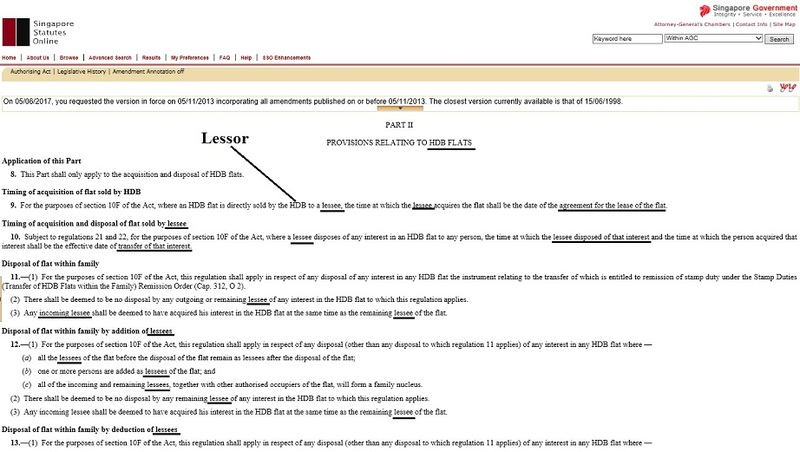 HDB has even stated itself as the ‘lessor’. HDB cannot suka suka use these terms interchangeably, eg ‘lessee’ = ‘owner’, etc, as if dictionaries do not exist. 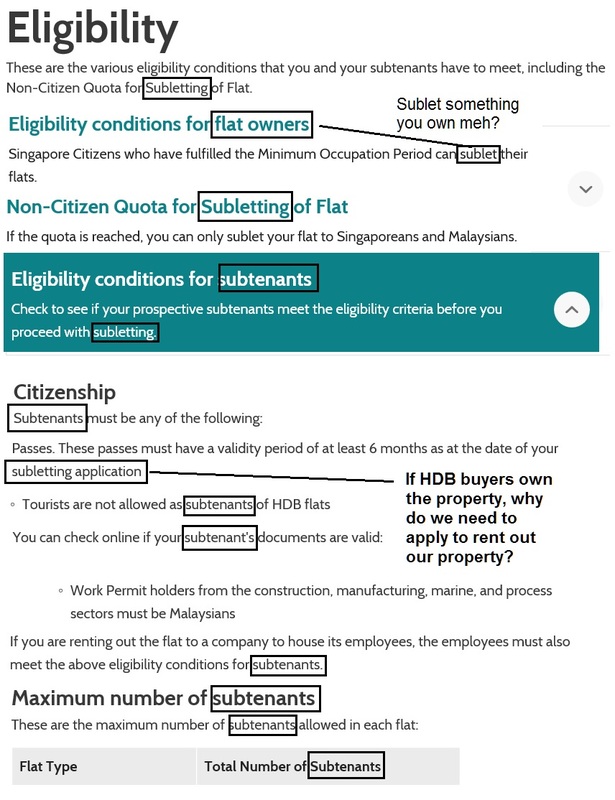 But if buyers are not merely HDB’s tenant, why does HDB use the term “subtenant” and “sublet” when it comes to rental of HDB flats in the open market? ​I have written a number of posts on our non-ownership status, a recent one titled “Ownerhip of HDB flats a big lie“. Even the Singapore statutes have stated in no uncertain terms that “owners” are in fact merely “lessees”? From a common sense point of view, one cannot be the owner of an asset when we hardly have any control over it. 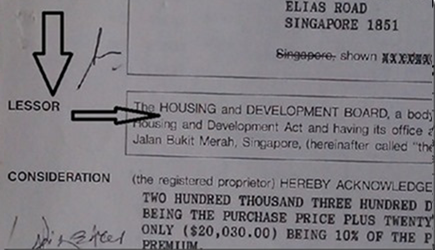 Again, our ‘control’ over HDB flats has been given by HDB, the legal landlord. Another confirmation of our non ownership status would be an “owner’s” inability to mortgage a HDB flat despite it being fully paid. Since PAP craves control over the people through control of public housing, it should bear all costs and not expect lessees to help shoulder them; simply because it has self-defined buyers as ‘owners’. This issue has been festering for about 2 decades and may soon blow its top. To placate ‘lessees’ to accept ‘ownership’ status, remove all property taxes on public flats and the government should take over the maintenance of all assets belonging to the government, eg public areas, lifts, water tanks, etc. 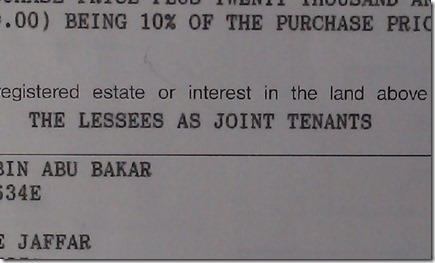 Allow divorcees, singles, etc to purchase public flats and remove most of the 1001 rules dictated to us by HDB. HDB owners are getting more educated and may wake up from this HDB ownershit nightmare pretty soon. The PAP has trumpeted to the world our ‘successful’ public housing programme which in fact is more of a scam, similar to our CPF scheme. What if this scam is exposed by foreign media? Will the HDB ownership house of cards collapse, with disastrous consequences for our property market? Very well and truly said. It’s about time Singaporeans woke up, but I’m afraid the slumber would continue for a couple more decades! Still, we hope against hope for a quick awakening.